Sunflowers make great dye plants. They are easy to grow, are also great as a cut flower and produce plenty of seed to save for next year. 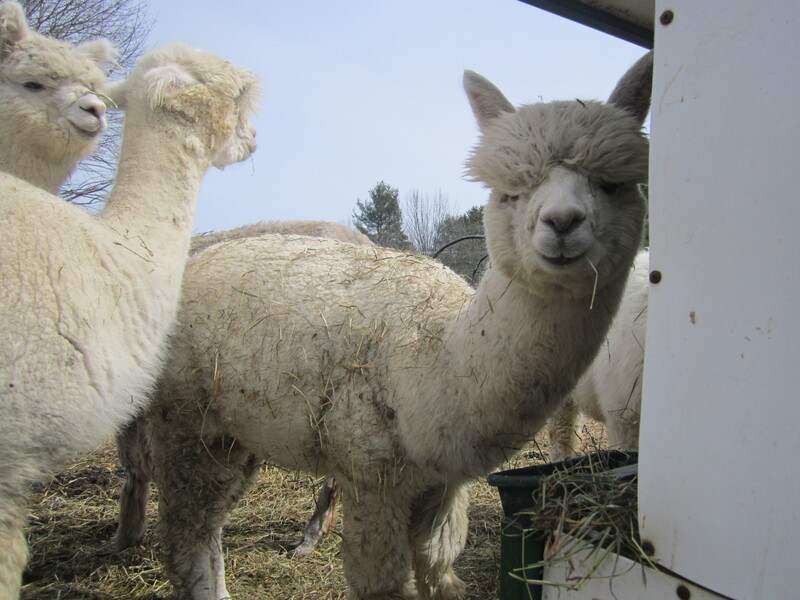 Martha My Dear covered with her straw bedding. Dye Plants —- Helianthus annus. Common sunflowers are great plants. We all know them and love them. There are many, many varieties in many colors and sizes currently available. They are great for the cutting garden and for the seeds. They are also a very valuable dye plant. 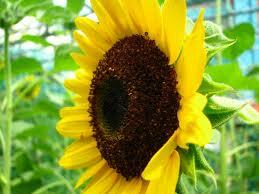 Sunflowers are easy to grow and can be directly sown after danger of frost. They make greens— chartreuse and darker depending on the mordant. I love chartreuse! The greens can wonderfully altered by a dip or two in the indigo vat. With most plants/flowers for dying I employ the same routine for extracting color. I cut the plant material, for sunflowers, the whole head when in full bloom. I place it in a dye pot, cover it with water and bring to a gentle boil and allow it to boil for a full hour. I then let it sit over night and again in the morning boil for an hour. Once this is done you can strain off the dye water and compost the plant material. 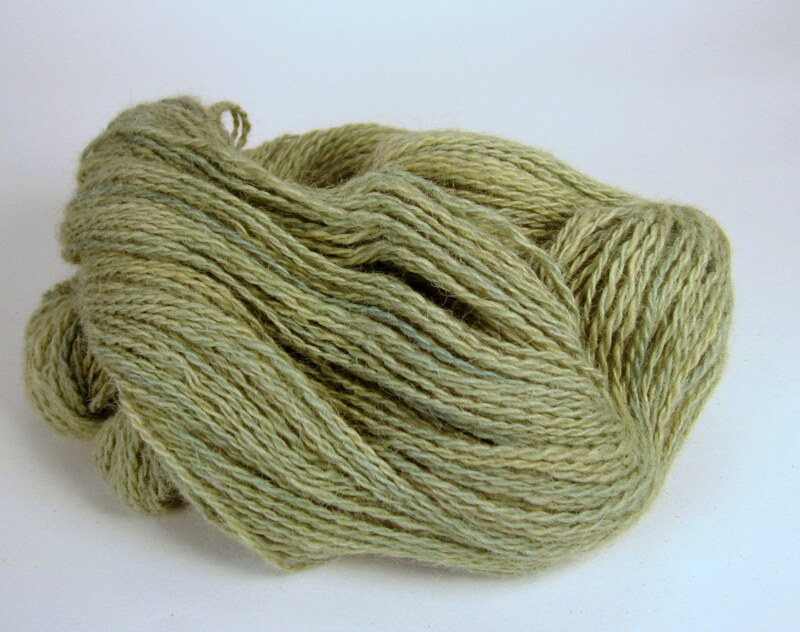 To the dye bath I add mordanted wool and bring it to just a simmer and allow the wool to simmer for about 1.5 hours. Sometimes I remove the wool and rinse once the dye bath has cooled but often I will let it sit in the cooled vat for several hours or overnight. I wish I could tell you I measure and weigh all my plant material but I do not. With practice it is easy to just eyeball. You want a lot of material to do a pound of yarn or roving. Different mordants will produce different results. Overdying will also give you more color options. This entry was posted in Alpacas and Farm Life, Naturally Dyed Yarns and Products and tagged Agriculture and Forestry, alpaca, Alpaca fiber, alpacas, Business, Camelids, Dye, farm, farming, fiber, fiber art, indigo, knit, knit knitting, Livestock, Maine, natrually dyed silk, Natural dye, natural dyes, Natural fiber, plant dyes, wool, yarn. Bookmark the permalink. ← Easter morning on a farm in Maine.